When your experienced enough to appreciate the finer things in life, you'll understand the importance of drinking wine from crystal, no matter where you find yourself. Every glass fits neatly into a partition both in the lid as well as in the base of the carrier to ensure your crystal always arrives in one piece no matter how rough the road is. This is the most elegant way to carry your crystal stemware wherever you go because live's to short to drink wine from a metal or plastic cup. 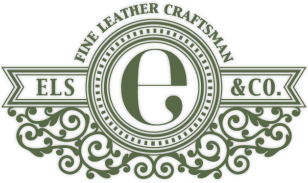 Every product produced by the Els & Co. team is made from start to finish by a single craftswomen and she embosses her initials onto the leather, signing her artwork. What makes Els & Co. products unique from most leather producers in the world is that every single stitch is crafted by hand. This entails drilling hundreds of holes with a small hand drill then using two needles on a single piece of thread that is criss-crossed through each hole knotting in the middel. Stitching in this manner takes forever but it will mean that, even if a stitch is completely severed, it will take many years for the piece to unravel. 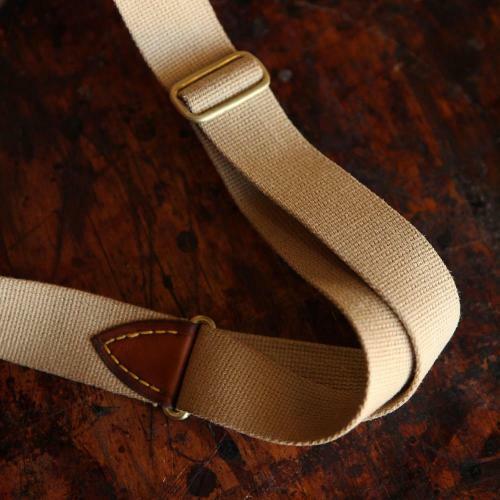 Our straps are made from 100% cotton canvas, soft to the touch yet very tough and hard waring. All our fittings are made from solid brass that will never rust and is extremely durable, which it should be as our products are intended to last a lifetime.